A community prayer event on the Highland County Courthouse lawn Saturday will pave the way for two popular Christian events in the area the following weekend leading up to Easter Sunday. The “Let God!” community prayer event, led by Pastor David Webb of Living Testimony Ministry in Hillsboro, will begin at 7 p.m. Saturday, April 13, and include prayer for the local community and the nation, according to Webb. The following weekend, there will be two “cross walks” — an event where volunteers carry a large wooden cross from one location to another — in New Vienna and Hillsboro. Webb’s wife, Storm, who is the Living Testimony Ministry evangelist, said with “everything our community faces daily, and our nation” the Christian community at large has a responsibility to gather and pray for the community and nation. The couple said they hope local faith leaders, pastors and other churches will join for the community prayer event. Storm Webb said those who are not Christian are also welcome to attend. David Webb said “Let God!” comes at a time when “I see a need for unity, and change,” in Highland County. The pastor said he hopes to see a social movement come from the event. David Webb added that he would also like to see more youth programs and clubs here not affiliated with one specific church. Storm Webb said she hopes for a good turnout at the prayer event. “We’re praying that a lot of people show up because it’s a blessing to our community,” she said. 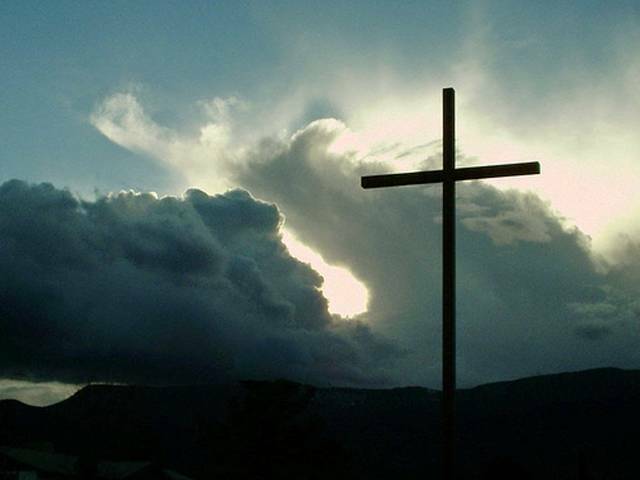 The first cross walk will take place at 1 p.m. on Good Friday, April 19, beginning in the middle of New Vienna where the old gazebo used to be, and ending at Tower of Strength Church on Line Road. Coordinators said this will be the 36th year for the event. Refreshments will be provided afterward. The following day, Saturday, April 20, New Life Church and Ministries will hold a cross walk at 9 a.m. starting at the Highland County Senior Citizens Center overflow parking lot and continuing to the Highland County Homeless Shelter. Anyone is welcome to participate in that event, coordinators said. Easter takes place Sunday, April 21.